You want affiliates to sell for you. More specifically, you want top affiliates to get excited by your e-commerce affiliate marketing program, and influencers to put in a good word for you. That's all fine, but how are you going to ultimately sign up affiliates? Will you go through popular affiliate networks, or sign up affiliates directly? Affiliate marketing networks are intermediaries who form a bridge between you (the e-commerce business) and affiliate marketers. Given a large number of players on both sides of the table, the industry has evolved around these networks that act as matchmaking websites for vendors and affiliates. Quite simply, if you are trying out affiliate marketing for the first time, we recommend that you go with a network. This is because there are too many issues that you will have to address as a vendor for affiliates. At the same time, you can gain from the large pool of affiliates that are already signed up with the affiliate marketing network. 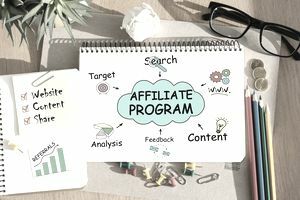 If you do not have experience in managing an affiliate marketing program, you are unlikely to appreciate the complexities and best practices that go into succeeding at affiliate marketing. Having a dedicated relationship manager will give you someone to run to every time you have a problem. The alternative would have been to hire one or more personnel to manage the affiliate marketing function. Of course, if you are a large enough e-commerce business, you will need to have a dedicated affiliate manager for operating the affiliate marketing campaigns. Affiliate networks have a large number of vendors. You will be one in a crowd. Does that sound appealing? Your communication to prospects will be in a standardized template. This will prevent you from putting across information in a style that is most appropriate for your unique offering. In a network, people often search for e-commerce vendors based on numerical criteria, e.g., commission percentage, average sale price, conversion, and the like. Though that is a rational approach, you can be certain that there will always be several vendors whose scores beat you. As a result, you may not get an opportunity to be shortlisted at all. Maybe you want to run an affiliate campaign in a unique style. The network process may not allow that. In an affiliate marketing network system, there is an additional degree of separation between you and your affiliate. To begin with, purely online business relationships are tough to maintain. The presence of an intermediary makes it all the more difficult. If we were an e-commerce business that was serious about affiliate marketing, we would do everything in our control to develop a strong relationship with our affiliates. Going through a network makes that difficult. Most affiliate networks influence your affiliate terms. Let's not forget that network commissions, not just affiliate commissions, add a whole new cost head to your earnings statement. With ever slimming margins in e-commerce, every additional cost makes survival difficult. So what does one do? In the presence of all the disadvantages of affiliate networks, do you still go with one? Absolutely! We recommend that you prepare yourself to spend two to three years deploying your affiliate program through a network. Only when you develop enough confidence in being able to manage the process should you consider going solo.